The MLB regular season is over and the drama is just beginning. It will truly start on Friday when the New York Yankees and Boston Red Sox face off in the postseason for the first time since 2004. Boston came back from a 3-0 deficit to win the American League Division Series 14 years ago, but there was no shortage of surprises before the playoffs even started on Tuesday. This is what is happening this week in U.S. sports. No coaching job in MLB is safe. It does not matter if a man won a World Series, led his team deep into the playoffs, or orchestrated one of the greatest turnarounds in league history, any man can lose his job after a lacklustre season. As of Thursday, six managers had lost their jobs as the Baltimore Orioles' Buck Showalter, Los Angeles Angels' Mike Scioscia, Toronto Blue Jays' John Gibbons and Minnesota Twins' Paul Molitor joined Texas Rangers manager Jeff Banister and Cincinnati Reds boss Bryan Price as men to lose their jobs in 2018. Price lost his early in the year and Cincinnati also decided not to retain interim manager Jim Riggleman. 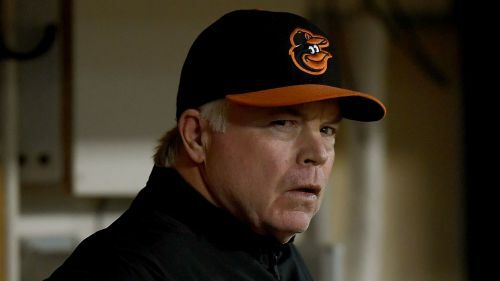 Scioscia won a World Series with the Angels in 2002, Showalter led the Orioles to the postseason three times in his six years at the helm, Gibbons led Toronto to their first AL Championship Series since the early 90s and Molitor was the 2017 AL manager of the year. Addison Russell has been suspended by MLB for 40 games for violating the league's Joint Domestic Violence, Sexual Assault and Child Abuse Policy. Russell was accused of verbally and physically abusing his wife whom he divorced in August. Commissioner Rob Manfred announced the decision on Wednesday. "My office has completed its investigation into the allegations that Addison Russell violated Major League Baseball's Joint Domestic Violence, Sexual Assault and Child Abuse Policy," he said. "Having reviewed all of the available evidence, I have concluded that Mr. Russell violated the Policy and should be subject to discipline in the form of an unpaid suspension that will cover 40 games." Tom Wilson is known for delivering some vicious hits in the NHL and the league handed him a serious suspension the afternoon before Washington started their Stanley Cup title defence. The NHL suspended Wilson for 20 games, more than a quarter of the season, for his brutal hit on St Louis Blues center Oskar Sundqvist in Sunday's preseason game. Wilson's team-mates were not thrilled with the decision. "I think it's garbage," winger Devante Smith-Pelly told ESPN. "We watched a video from the league saying what hits are good and which ones aren't. They showed some hits that were way worse than that ... maybe not in force, but as it regards to the head, that were so-called 'allowed.' I guess he just has a different rule book, and I think it's garbage, honestly." Wilson will forfeit $1.26million in salary for the games he will miss. He signed a six-year, $31m deal this offseason. Contract disputes were the story of the preseason this year in the NFL with Los Angeles Rams defensive tackle Aaron Donald, then-Oakland Raiders linebacker Khalil Mack, Pittsburgh Steelers running back Le'Veon Bell and Seattle Seahawks safety Earl Thomas all missed games while waiting for new deals from their teams. Donald and Mack had their issues resolves as the Rams defender received a massive deal and then Mack was dealt to the Chicago Bears and then aptly compensated, but Bell and Thomas did not get the results they were looking for. This week Bell said he plans to come back in week seven or eight, but Thomas was dealt a bad hand. The Seahawks safety who was hoping to be given more money or get traded by Seattle, suffered a lower-leg fracture in the team's win over the Arizona Cardinals on Sunday. He was placed on injured reserve and is out for the season. He is a free agent after this year and was playing in the final year of his four-year, $40m contract he signed in 2015. The NBA is never calm and it never will be, so when you hear there was a lot going on in one of the final weeks before the season kicks off it should not come as a surprise. This week alone, news came out that the Miami Heat and Minnesota Timberwolves had a deal in place for Jimmy Butler but Miami nixed it late when Minnesota tried to change the terms, Boston Celtics head coach Brad Stevens chewed out his team for not playing as well as they should and the general manager survey emerged and several notable players were in unfamiliar spots as Joel Embiid was left off the top defenders' list and Rudy Gobert was not named among the NBA's top centers. The season does not start until October 16.